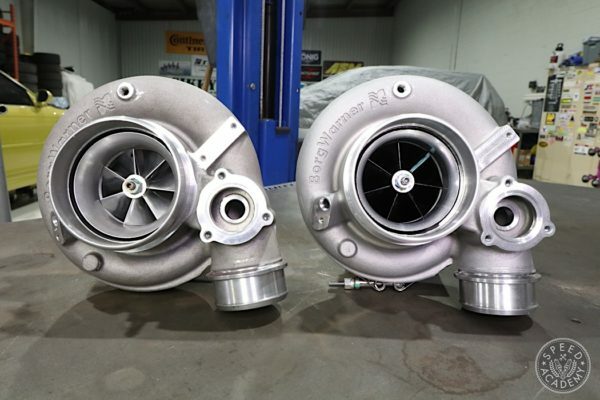 In the last couple of years the air-cooled Porsche market has taken off Scratch that, it’s skyrocketed to the point where it’s becoming harder and harder to buy a classic 911 at a reasonable price. Fortunately for me, I purchased this 1987 911 Turbo for a very fair price without having to pay for the increasingly popular Porsche tax. 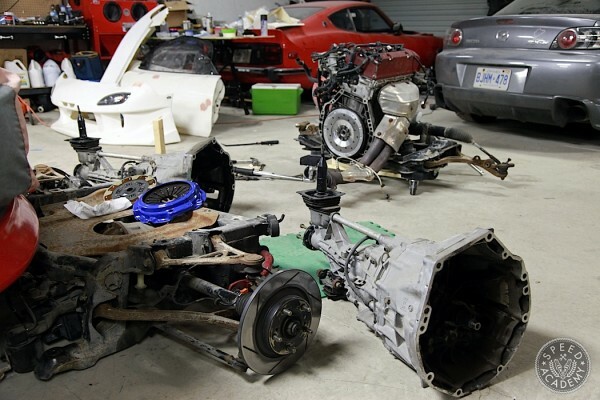 There are too many Porsche owners that think their neglected 911 is worth what they’ve seen on the internet. Most of those cars are showroom condition and haven’t been sitting in a backyard for 20 years rotting and neglected. I’ll save this rant for another day but be cautious when buying an older 911 because some may need a lot of work and fixing these cars ain’t cheap. 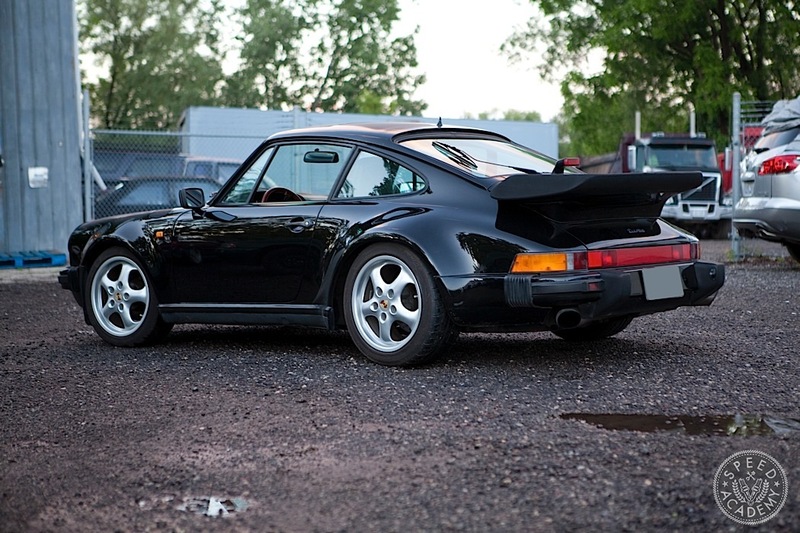 Make no mistake this 930 Turbo is not perfect by any means but that’s why attracted me to it. I didn’t want an immaculate showroom stock version since I’d never want to drive or modify it. This one has its fair share of imperfections so I won’t be worried about wrecking a pristine condition 911. 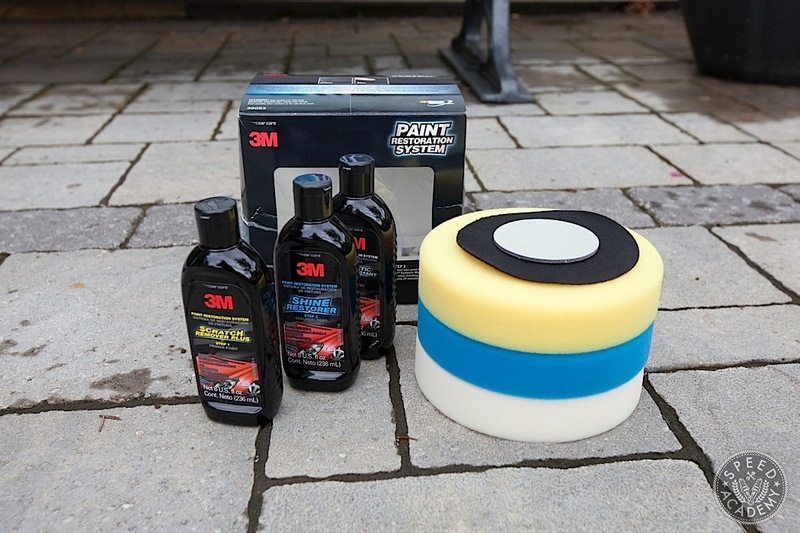 The 964 Carrera wheels got a Plastidip treatment to toughen up or Murder out the look of the 911. 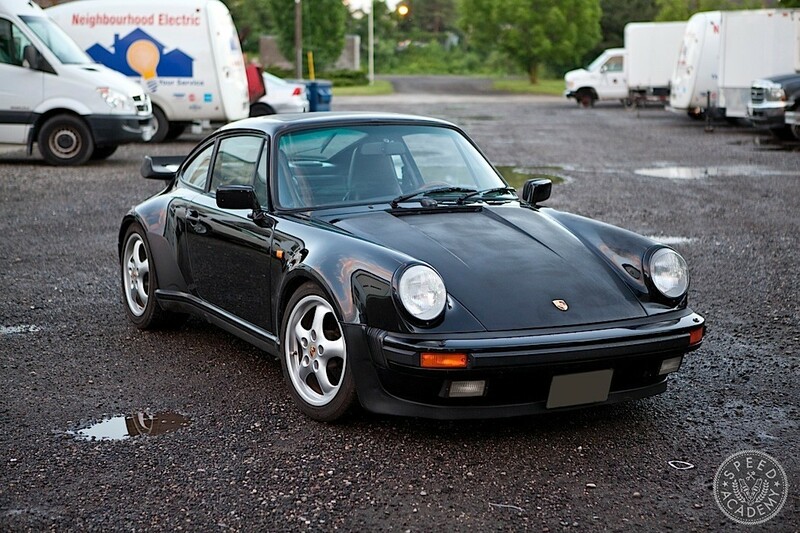 This ’87 euro-spec 930 (the factory code used to designate the 911 Turbo of that era) has 94,000 miles (151,000 km) and has been modified. Not in a very good way though. 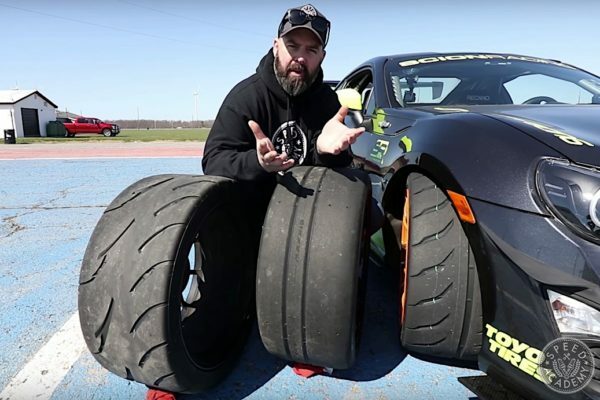 The stock fuch wheels have been replaced with more modern Carrera wheels. It’s a step backwards in my opinion but no matter because I’ll be replacing them anyways. 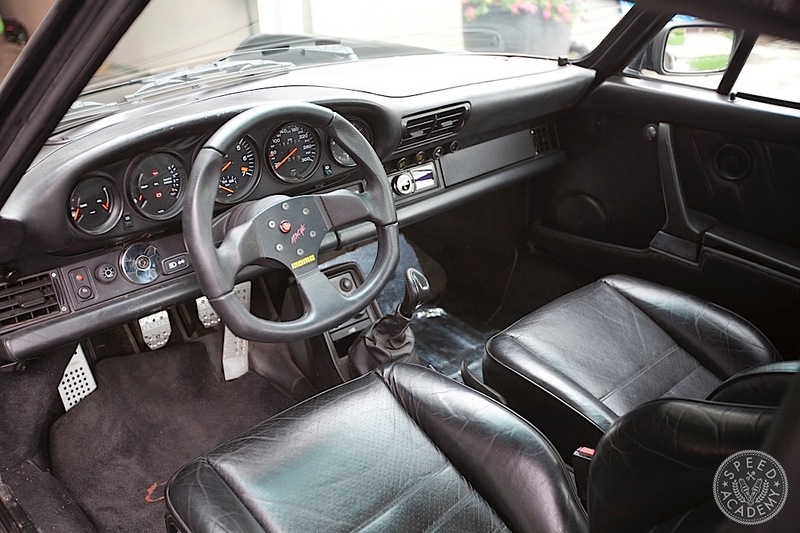 The interior is what you’d expect for a 25-year old car. The driver’s seat bolster is torn and the dash is a bit beat up. The steering wheel is totally out of place, a Momo Apache model with an equally hideous fake carbon fiber shift knob. I’ve since replaced both with some more appropriate looking pieces. 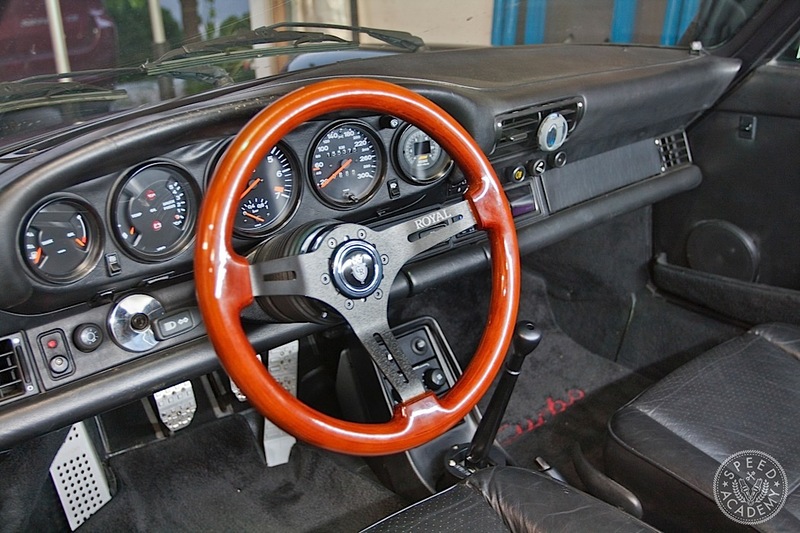 A Grip Royal Wood Grain steering wheel adds a more vintage vibe to the interior with a splash of modern style. You can also peep the AEM Failsafe wideband that’s been installed. The paint on the 930 is not original which is a bummer but oh well. The respray is decent but has its faults. 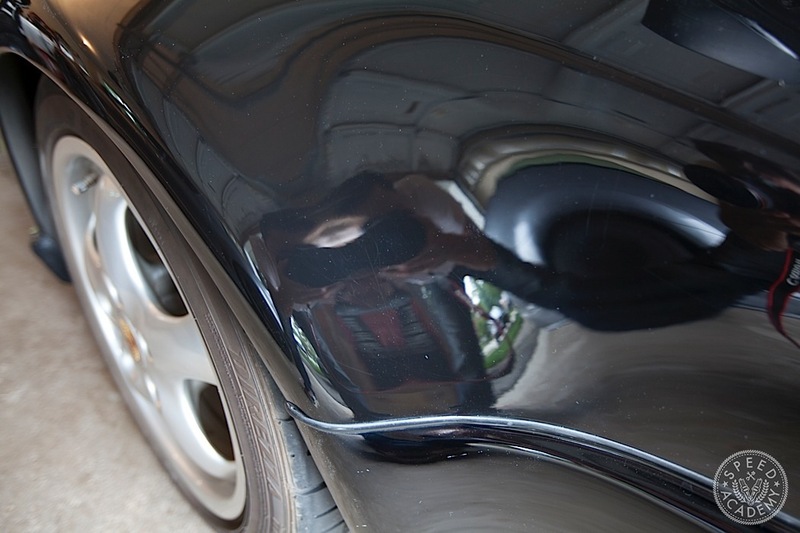 I used 3M’s Paint Restoration System to remove most of the swirls and scratches. 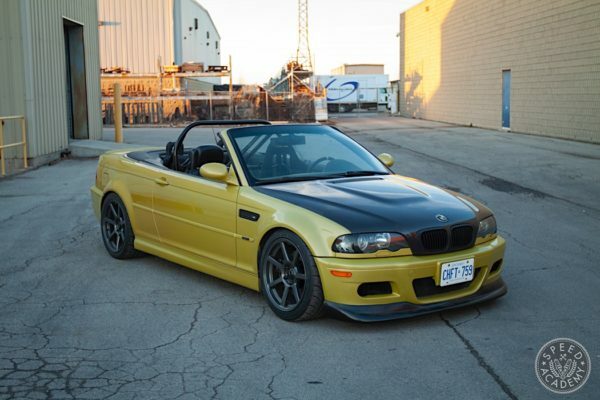 I was actually very impressed with the results, the paint looks so much better then when I bought the car. Check out that shine. 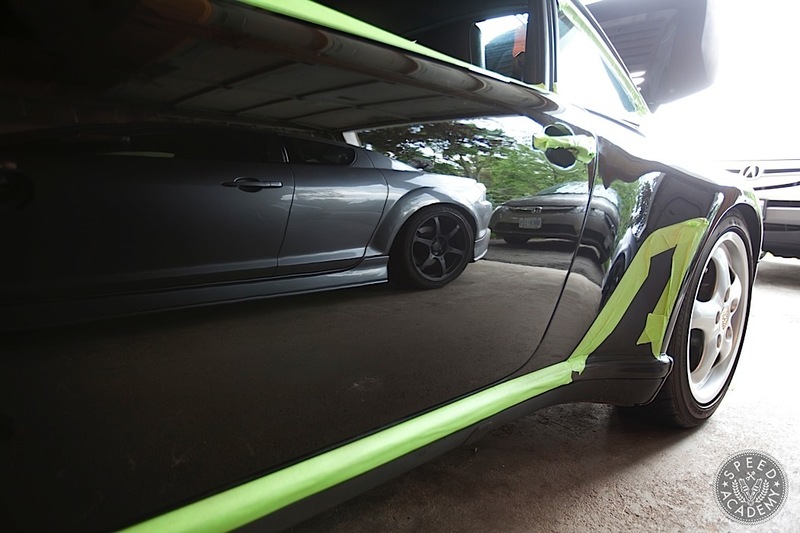 If you think your paint is worn out, i’s always worth trying a good buff and polish. You may be pleasantly surprised. 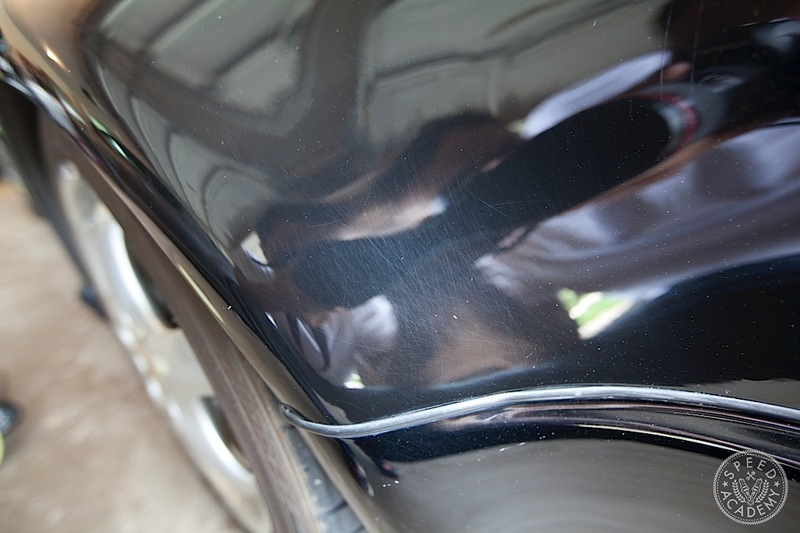 See the scratches, that’s before using 3M’s Paint Restoration System. This is the after. Notice how much of the swirls are gone! 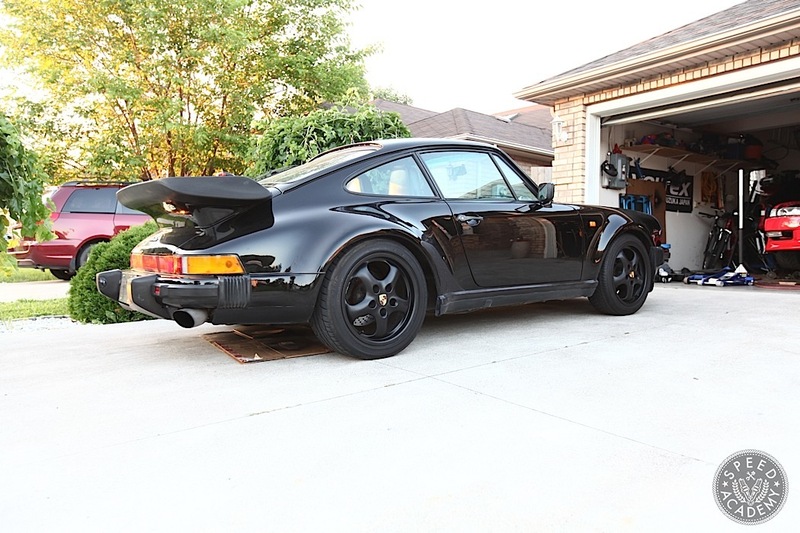 2 Comments on "Air Cooled Porsche 930 Turbo Madness"
Just found the site Peter, awesome. Looking forward to digging in later tonight. Congrats on the 930 dude, I’ve recently joined the club. Info on that shifter?? Sorry for the SUPER late reply on this. I just got around to reading the comments. 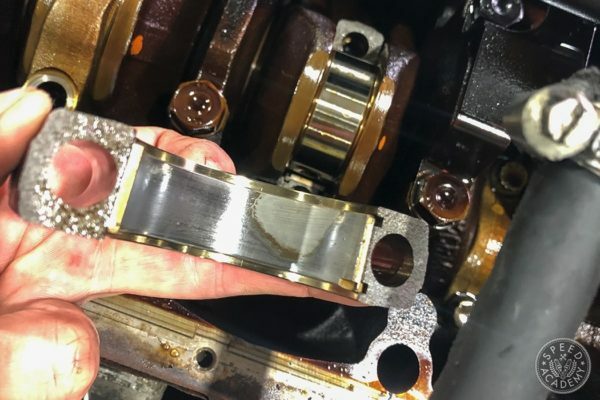 The shifter is a WEVO unit. I found it to be a huge improvement over the stock shifter. Much more precise and direct.